Mass Effect and cool tunes: Is there really anything better in life? 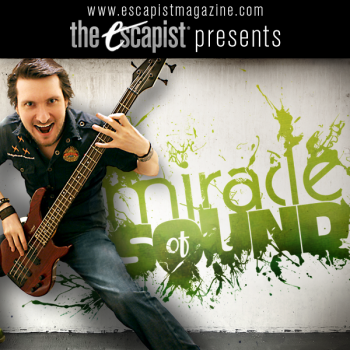 Miracle of Sound, AKA Gavin Dunne: You love him, we love him, and rather excitingly, BioWare loves him. So much so, in fact, that it asked him to come and debut his new song live at Gamescom. You can watch him live on BioWare TV at 6PM GMT - which is 1PM EST and 10AM PST - on Friday, August 19th. The song is called "Normandy" and is based on Mass Effect 2. It will be the third song that Dunne has written about BioWare games, and his second about the Mass Effect series. BioWare's David Silverman will also interview Dunne, and fans will be able to ask questions via Twitter. All you need to do is direct your query towards the official BioWare Twitter feed, and if you're lucky, your question will be one of those put to Dunne. You can peruse Dunne's other songs here, including his songs about Dragon age 2 and Mass Effect. Update: Schedules are malleable things, and are often subject to change. Dunne's Gamescom appearance is now taking place at 1PM GMT, or 8AM EST/6AM PST. The venue hasn't changed, however, and you can still catch him on BioWare TV.